One of the positives about living in an RV is that you can get up and go at a moment’s notice. All of your stuff is right there on wheels, and you just need to a few minutes to unhook everything and roll out when harm comes your way. Well, it should be that easy! 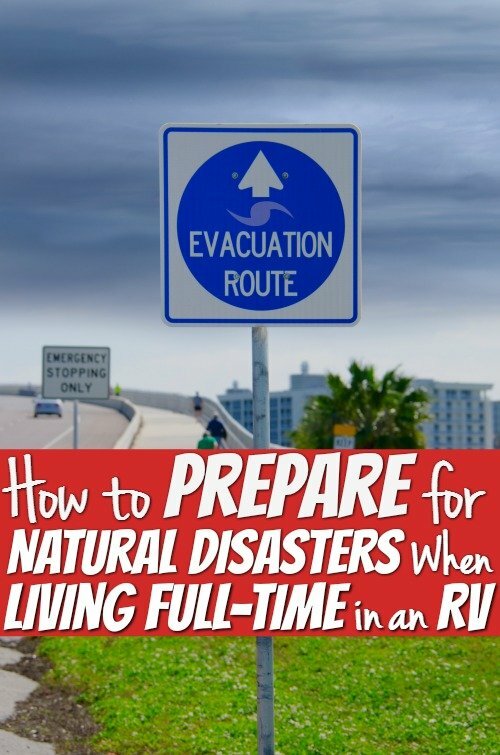 Here are some tips on how to prepare for natural disasters when living full-time in an RV. It is easier said than done, but keep your water tanks full and your sewage tanks empty. Make it a habit to fill up your gas tanks when half full and the moment you hear of a disaster headed your way. You don’t want to be searching for a gas station when you need to put miles between you and whatever is coming your way. Have an extra battery and gas for your generator and you can boondock with the best of them. Keep your propane canisters full and get an extra tank if necessary. When you are docking in an area known for tornadoes or hurricanes, always be ready to move at a moment’s notice. 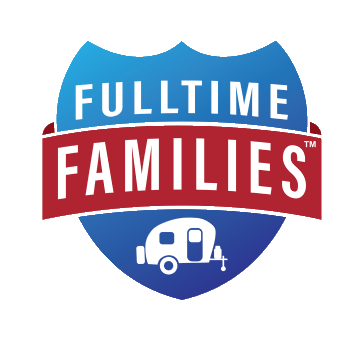 When you have lived in your RV awhile, you can usually pack up and get on the road in under an hour. Practice moving out in under 15 minutes. It can be done, promise! Sometimes, that is all the time you might have to get out of harm’s way. 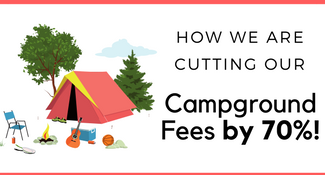 Most RVers have dry goods and nonperishable foods already stockpiled. If you don’t, get on that! 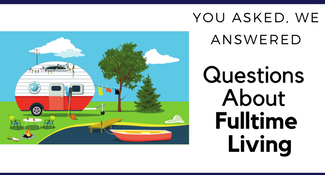 Living in an RV has its advantages as you are already used to living off the grid. If it is a truly terrible storm and you have a car or truck with you, leave the RV and flee. This is why you have insurance to take care of you! Have a checklist taped to the inside of a cabinet door with everything you need to survive. It is a good idea to have a Go Bag that has a change of clothes for everyone, a week’s worth of medicine, and your pet’s favorite food. Also, have cash on hand to get you through a week or two. Have an Emergency Plan written out and know routes out of where you are at that take lesser known roads. You should do this whenever you move to a new location – know the way out! If you aren’t able to get out of the area, you need to have someplace to go. So when you get to a new area or RV park always ask or scout out the closest safe building to where you are parked. It might be the bath area, or laundry room or even the office. 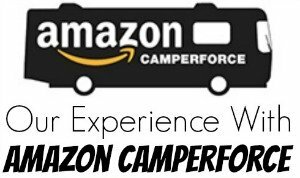 This way if weather springs up on you and you need to get out of the RV you know where you are going. Now you know how to be safe, where do you get your information on the weather from? Well, the best case is the RV park you are at has cable, and you get the weather channel to watch. But we all know that isn’t the case. So it’s always good to have the Weather Channel App on your phone along with watching it online. Another good app to have is the NOAA weather app. Danielle likes her local WINK Weather app while it’s made for her local Southwest Florida news station it covers the whole country and shows winter weather advisories, wildfires, tornados and more. The Red Cross has a bunch of free apps that will warn you about everything from tornados, hurricanes, wildfires and more near you. The biggest one to have is the tornado warning app it will let you know if there is a watch in your area and if there is a warning (a tornado on the ground) it sets off a loud siren from your phone to let you know. 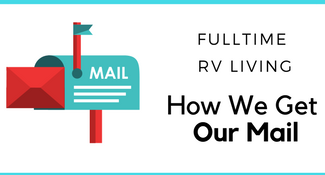 How do you prepare for natural disasters in your RV?